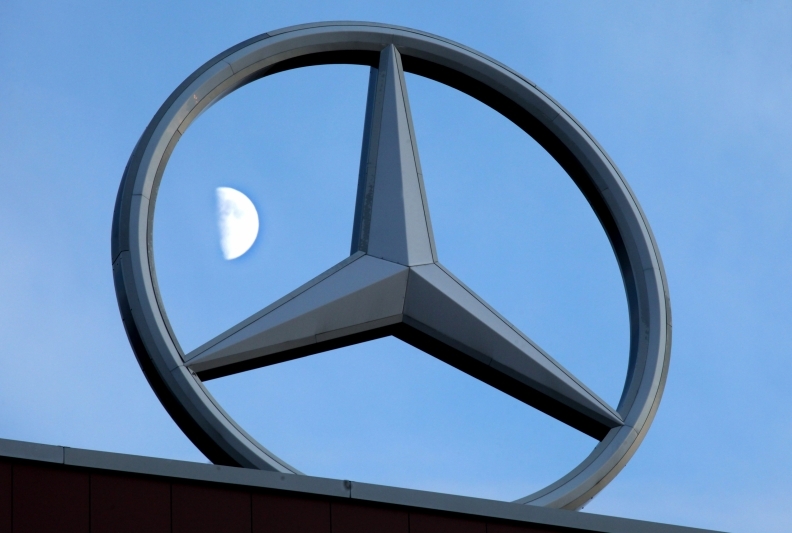 DETROIT (Bloomberg) -- Daimler AG's Mercedes-Benz brand has admitted it may sell fewer luxury vehicles in the U.S. this year than Toyota Motor Corp.'s Lexus and BMW AG's BMW brand. “I'm pretty sure we'll be No. 3,” Ernst Lieb, president of Mercedes' U.S. unit, told reporters at an event in Detroit on Monday. Mercedes and BMW this year have narrowed the gap in luxury cars and sport-utility vehicle sales with Lexus, which has held the top spot in the U.S. since 2000. Lexus maintained its lead over BMW by 4,936 vehicles sold through November, according to data released by the companies, while BMW outsold Mercedes by 545 vehicles. The totals don't include non-luxury models such as BMW's Mini cars and Daimler's Smart cars and Sprinter vans. Lexus will keep its lead for the year, Lieb said in an interview with reporters. “Nobody's going to make up” the difference, he said. He expects BMW to finish second, he said. “They are pushing extremely hard,” he added. Early sales data for December don't show Mercedes and BMW surging past Lexus's lead for the year, said Jesse Toprak, an industry analyst with TrueCar.com, a website that tracks vehicle sales. “It will be very difficult for Benz or BMW to catch up to them unless they do something unusual for the remainder of the month,” Toprak said in a telephone interview on Friday. Luxury sales have been more robust than last year with the U.S. economy improving and better access to leasing deals, he said. “We are seeing more than usual increases in luxury sales,” Toprak added.